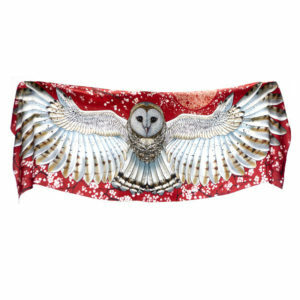 Owls are intelligent, enchanting and mysterious birds of the night. Revered and feared by cultures throughout history and around the world. They’re depicted in stone-age cave-art, Egyptian hieroglyphs and as Greek/Roman symbols of wisdom and strategic warfare. According to many Native American cultures, everyone has an animal spirit that’s determined by birth date. According to this belief, the owl is the spirit guide for those born between 23 November and 21 December. Owl eyes are disproportionately large in relation to their skulls and are tubular in shape. Owls have tubular eye ‘balls’ that sink deep into their skulls. This makes it impossible for them to rotate the eye in the socket like we can. While the owl’s eyes are fixed, owls can swivel their heads through a c270 degree angle, literally giving them ‘eyes in the back of their heads’. Owls are farsighted; because of their large fixed eyes, they cannot focus on objects within a few centimetres of their eyes. Owls have uneven ears; one is often noticeably larger than the other. makes pinpointing location easy, even under snow! Differences in ear size and positioning allow owls to identify and pinpoint sound. North America’s great grey owl uses hearing to catch rodents moving beneath half a meter of snow! An owl’s ear feathers and flat, dish-like face can work as a satellite to help capture sound and focus it towards the ears. 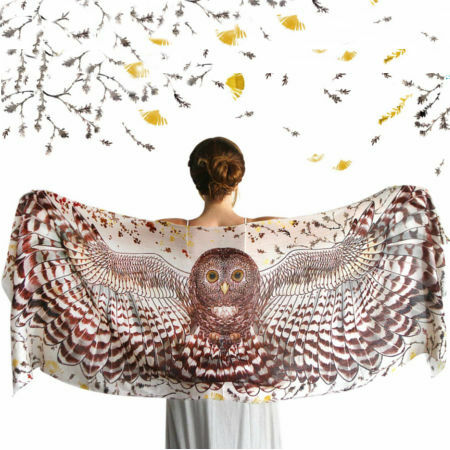 Many species of owl can move their facial feathers minutely to further enhance this ability. The owl has long been a symbol of wisdom, intelligence, and war strategy. 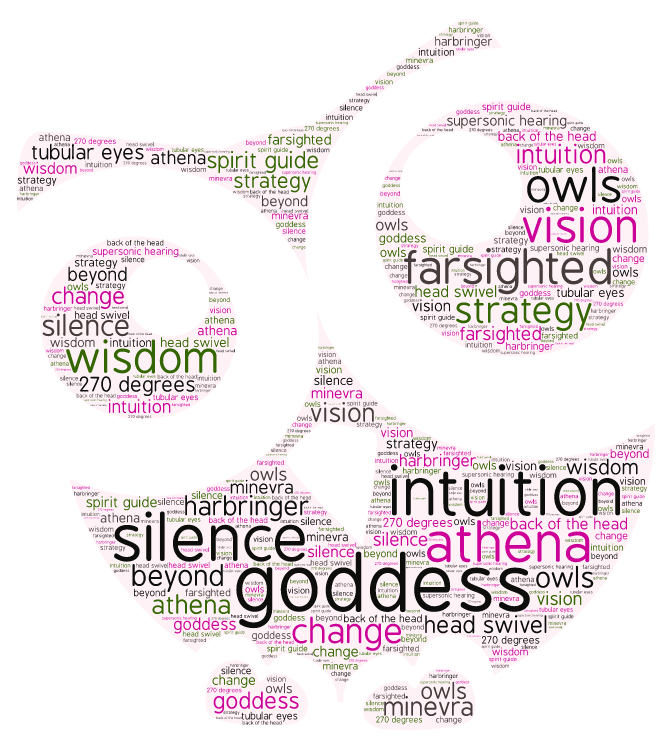 The Greek Goddess Athena, renown for these attributes, along with her Roman counterpart Minerva, were both accompanied or represented by the little owl. Earlier examples of this association. Today the owl is seen as a guide for for discernment and decision making based on strong foundations. Owls are revered for seeing in the dark. No surprise then, that they’re thought to guide seeing beyond the world’s veils of deception and illusion. The owl encourages one to look beyond appearances into the true reality of a situation or a person’s motives. Owls have been cloaked in superstition since ancient times. Their screech and nocturnal habits have many cultures associating them with magic, death and war. Romans and Mayans tell of them as guides to the underworld. While a number of war-societies, including the Vikings sounded an owl hoot to signal an attack. These associations no doubt, have led to their symbolic role as heralds of, and guides through, tumultuous change. 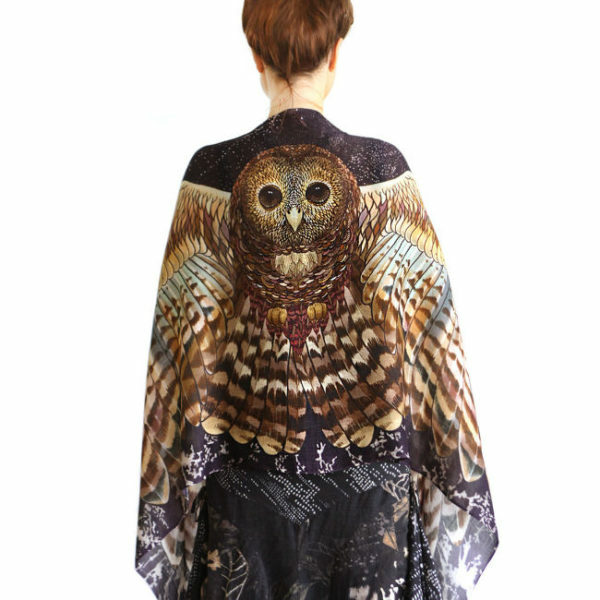 We owl-solutely love these wraps from Byron Bay artist Shovava. Available in pure cotton and luxurious silk cashmere. 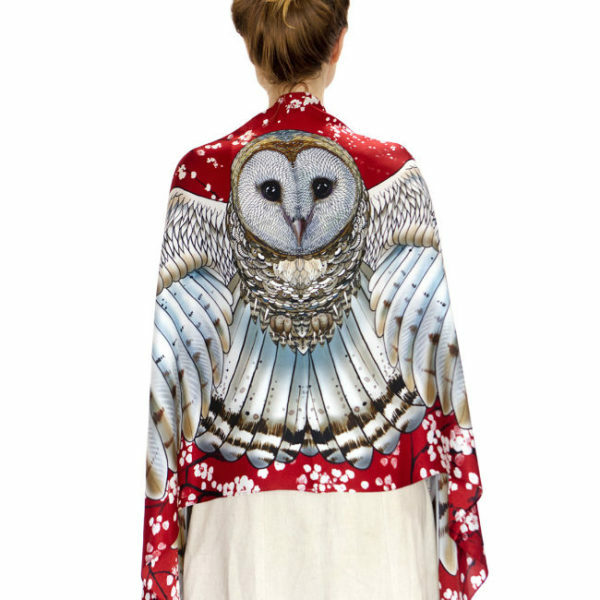 Fall in love with this unique bohemian wrap, featuring a delicately hand-painted artwork digitally printed onto your choice of 100% pure cotton or luxury silk/cashmere, to create a detailed representation of nature in all it’s beauty. 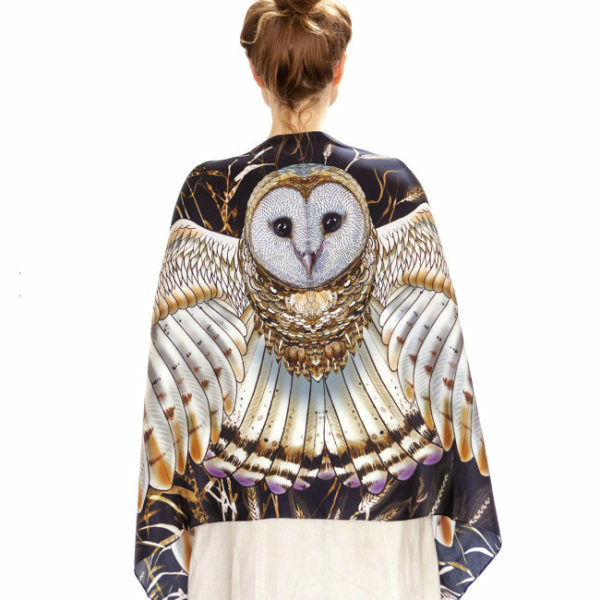 Fall in love with this unique bohemian wrap, featuring a delicately hand-painted artwork digitally printed onto your choice of 100% pure cotton or luxury silk-cashmere, to create a detailed representation of nature in all it’s beauty. 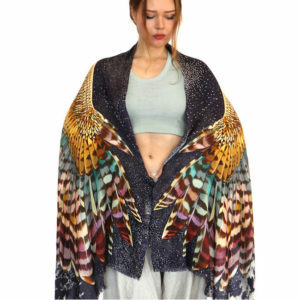 Fall in love with this unique bohemian wrap, featuring a delicately hand-painted artwork digitally printed onto your choice of 100% pure cotton or luxury silk/cashmere, to create a detailed representation of nature in all it’s beauty from Byron Bay artist Shovava.  This entry was posted in Good Conversations, Symbolism, Wearable art. Bookmark the permalink.